By utilising your existing attic space we can provide you with a storage solution to relieve you both of the clutter of your living space and a place to store your suitcases, Christmas decorations and childhood keepsakes. Attic storage systems are one of the most efficient and cost effective means of increasing the size and resale value of your home in Perth. 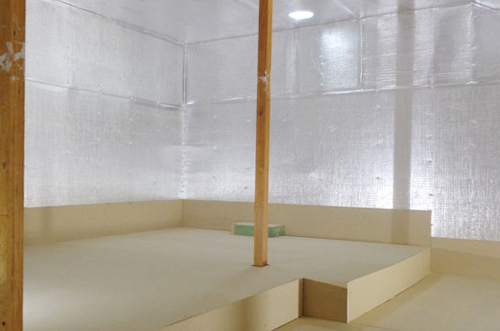 Dust Proof rooms are the cost effective solution for your storage needs. Attic ladders will give you access to your roof space into a functional room. Create a dust-free attic storage space to increase the size and value of your home. Roof ventilation systems help to keep your home cool in summer, and dry & mould free in winter. With over 15 years experience in the industry, Macs Attics provide a Quality Guaranteed professional service. 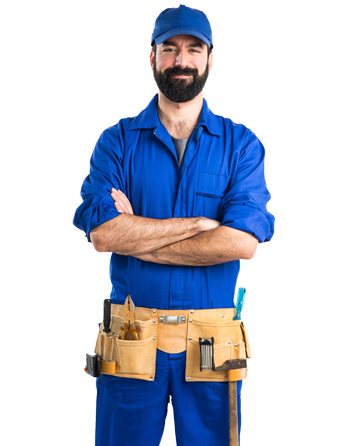 Macs Attics is a family run business that is focused on quality assured workmanship. We offer a Quality Guarantee to all our jobs, which is why we receive nothing but positive feedback from our clients. the costly and stressful inconvenience of moving or renovating your home. It’s the most sensible and cost-effective way to easily provide you with safe, secure and usable storage space. You can add value to your home through the addition of attic storage, which includes an attic ladder and flooring, dust-proof storage room and ventilation. Your belongings will be safe and secure hidden behind a discreet trapdoor in your ceiling. Our ladders retract into the ceiling door and provide you with a clean facade that doesn’t offer an invitation for small children to investigate. Our systems blend seamlessly and discreetly into your home to become another valuable room that provides you with extra space and removes unwanted clutter from your living space. 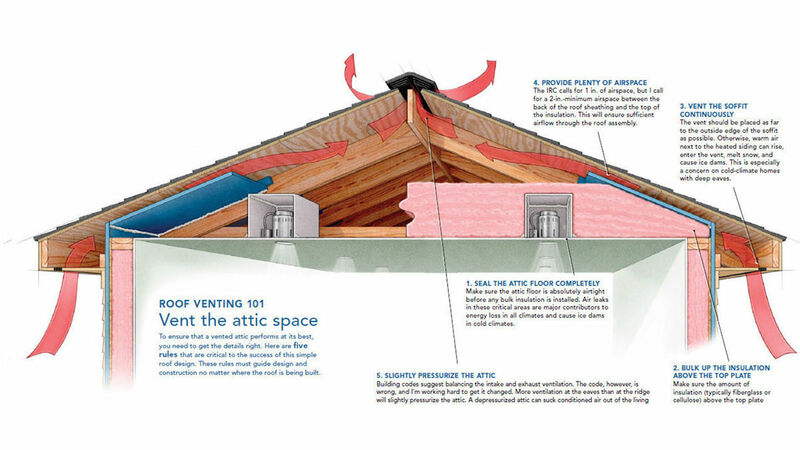 Our attic storage systems are durable and perfectly safe structural additions to any home. 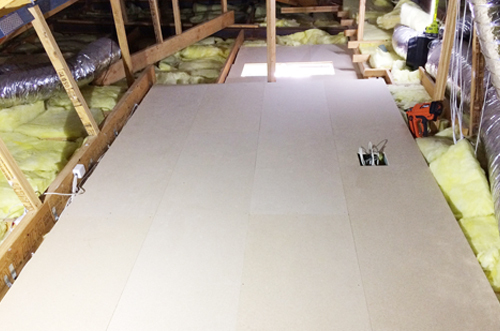 The lightweight materials we use in our flooring and walls are designed to be well within the load limits of standard ceiling joists and actually add a degree of structural stability to your home. With the ventilation systems we can add, your new storage space is perfect to store items away from excessive heat and dampness. 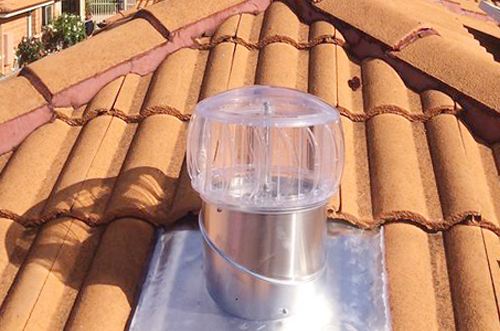 We install vents on your roof that remove excess heat and provide circulation to your attic system. This ventilation system effectively prevents mustiness and dampness from harming your treasured household items. By creating a 'room within a room', our attic systems also protect your belongings from the accumulation of dust, which often causes items in storage to be permanently stained or damaged when stored for lengthy periods of time. Our team provides services throughout Perth, covering areas such as, Armadale, Edgewater and Midland. With every job, Macs Attics provides a comprehensive service and oversees every step of the process right through to the completion of the project. We work with our customers to schedule the installation process to suit their own daily schedule. Call us today to see how much we can increase the usable storage space, as well as the value, of your home with the installation of an attic storage system. 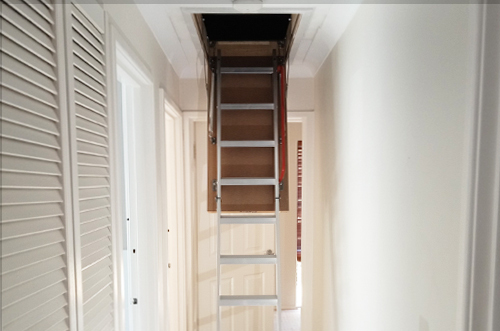 “We just recently had Macs Attics install a 16 square meter fully sealed attic in or home in Beechboro. Cormac is a true professional and his quotes are very competitive and to be honest beat other competition quotes for size and value for money! I had several conversations with Cormac about roof ventilation and we decided to go top of the range solar + mains power x 2 units. 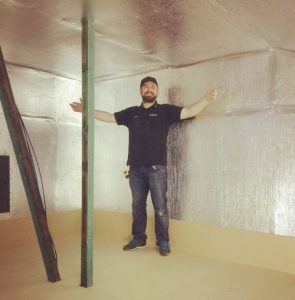 Cormac’s honesty and professionalism is why we chose him for our attic installation.